For all there is to like about Apple TV, the set-top box does have one major flaw: no support for Amazon's widely popular Prime Video service. However, it looks like the two companies may set aside differences and address the missing feature this summer. Apple will reportedly announce support for Amazon's premium streaming service on the Apple TV during its WWDC keynote on June 5, sources familiar with the matter tell BuzzFeed News. This report backs up a previous rumor that Amazon Prime Video would make its way to Apple TV this summer, though BuzzFeed says the official launch date is still subject to change. 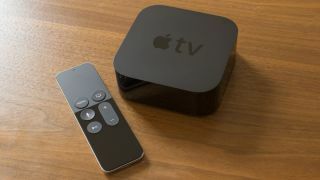 Should this new arrival come to be, it would not only address a glaring omission on Apple's set-top box, but possibly suggest a friendlier coexistence between the iPhone maker and Amazon going forward. In addition to Amazon Prime Video coming to Apple TV, today's report also claims Amazon will return the favor and resume selling Apple TVs on its website. If true, this change comes two years after Amazon pulled the Apple TV (as well as Google Chromecasts) from its digital shelves in favor of platforms without a competing video service, such as Rokus, game consoles and, of course, its own Amazon Fire TV. That wasn't the first time Amazon and Apple didn't play well together, either. In 2014, Amazon stripped in-app payments from the iOS versions of several of its services — including the recently acquired ComiXology — in response to Apple demanding a 30% cut of each sale. Even the though the ice will apparently thaw between Apple and Amazon soon, Google and Amazon may be at odds for a little bit longer as Chromecasts still have limited to zero support for Amazon Prime Video. All hope is not lost, however, as the Nvidia Shield — powered by Android TV — got the app this year thanks to a recent Android 7.0 Nougat update.